The road to Zanesville. Since I set up for a Friday at 6 opening, I left St. Louis at 4:30 AM. It is a 7.5 hour drive- 8.5 with a nap along the way! 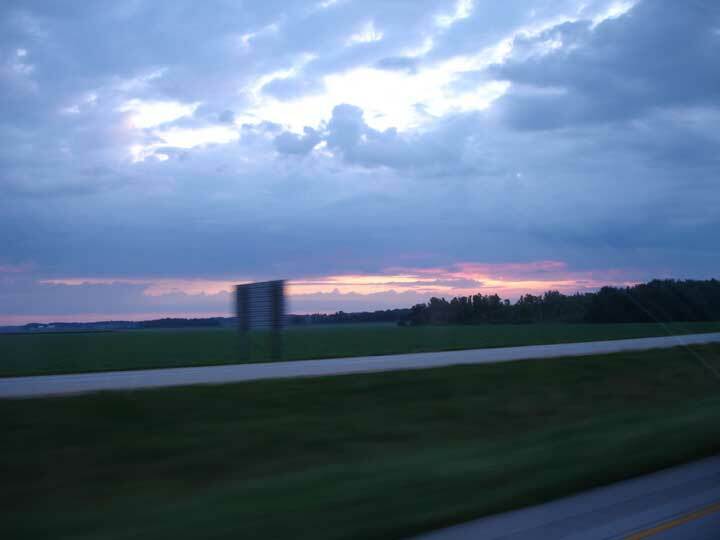 I do enjoy driving into a sunrise. 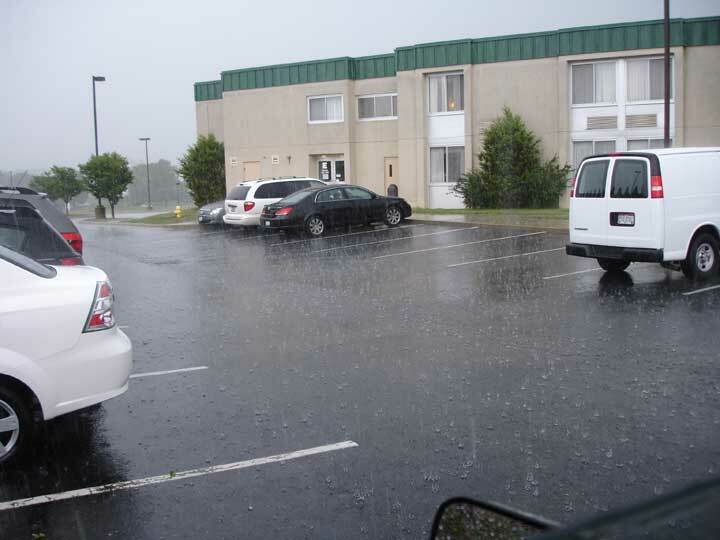 When I arrive at the Holiday Inn, it is in the middle of an extended downpour. No unloading now so, it is time to visit rooms and see familiar faces. 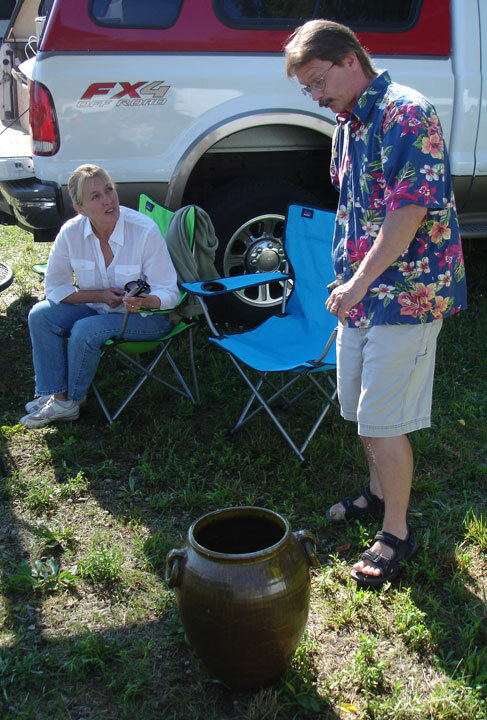 I'm not sure who the lady is, but on the left is Paul Katrich and the right, Scott Draves- two potters of art pottery renown. 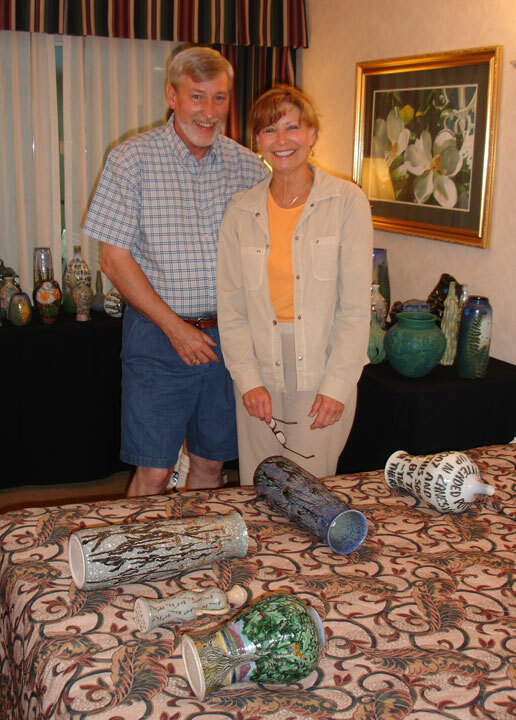 Len and Terry Senior- dedicated pottery loving people. The lady in the red and two of her friends bought some pots by the Holiday Inn for identification and an informal valuation. Here Joe Tunnell gives his knowledgable opinion. 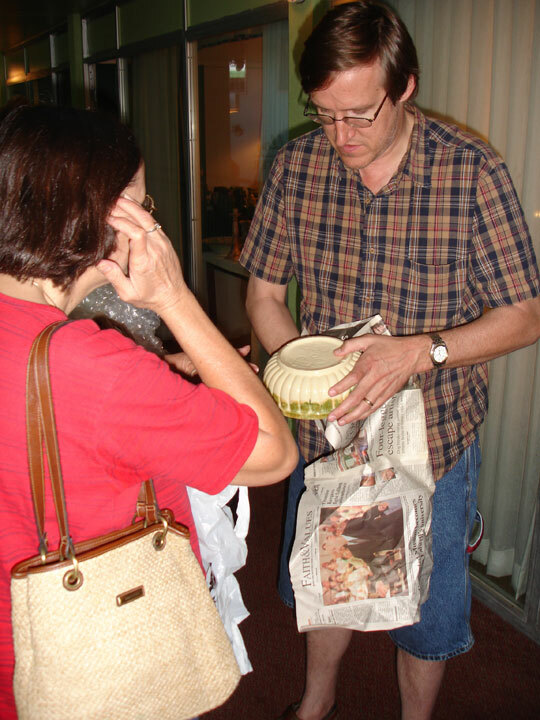 Randy Smith, who adds a lot to the local color of Pottery Lovers, is shown here viewing the marks on the bottom of one of Eric Olsen's pots. 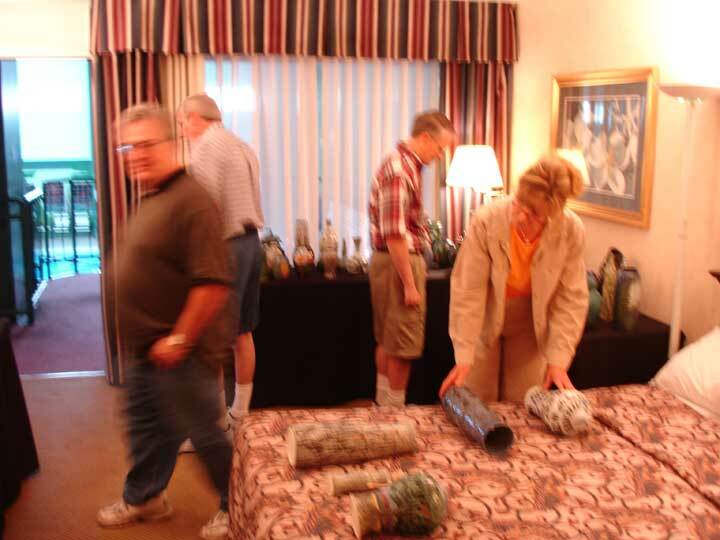 And here is Eric explaining decorating technique to a prospective buyer. 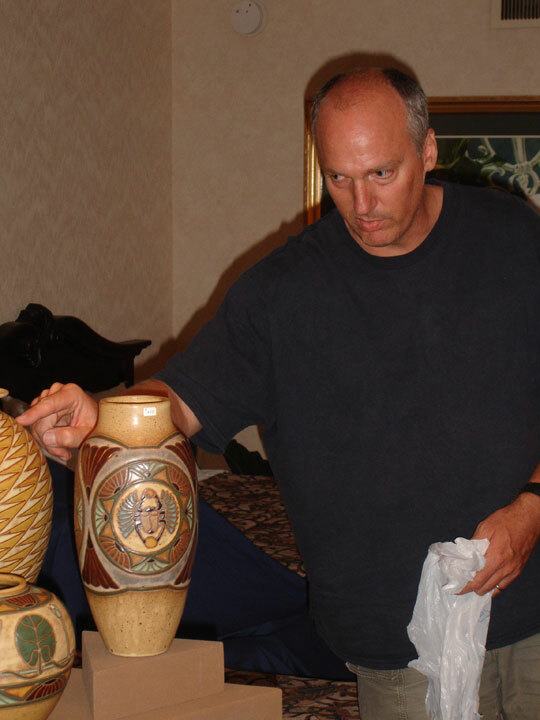 I was proweling one of the outdoor pottery fleamarkets with Scott Draves of Door Pottery, when he took a liking to this piece of old South Carolina pottery. He picked it up for his pottery collection, which is I suspect, huge. Another shot on the "Airwood" lot. Do you like matt green? Here is a shot of a pot of mine in the Pottery Lovers auction. It only went for 375! Hell, I would have bought it for that. Sometimes treasure slips by. 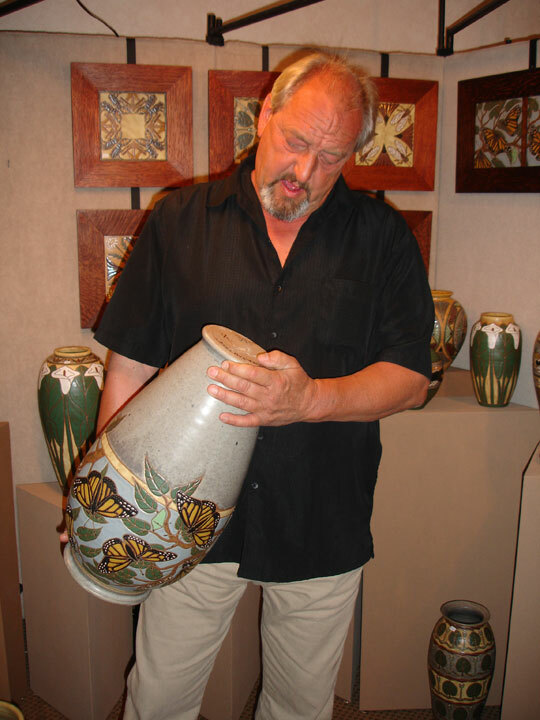 This is John of Hog Hill Pottery with one of his killer pots. (There were two turkeys on the other side as well.) I almost bought it, but I was determined not to bring another pot home! 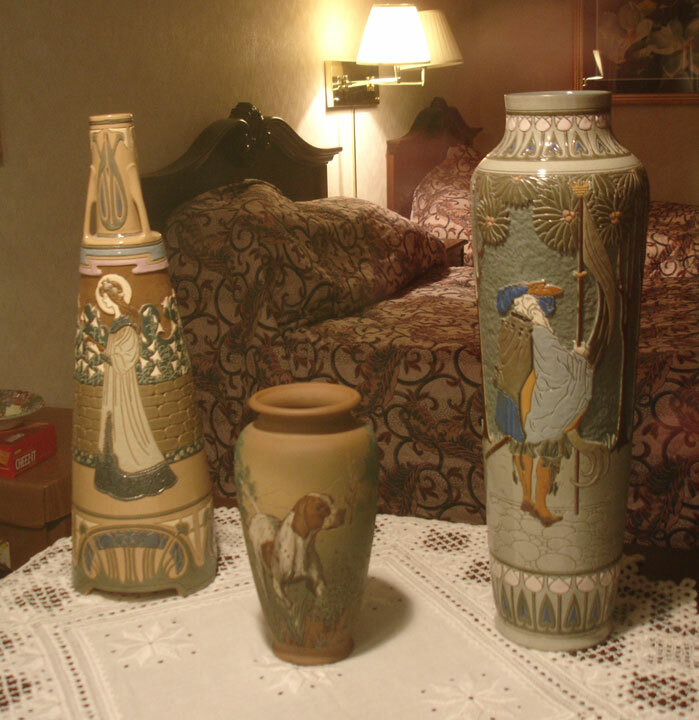 One highlight of sitting in the motel room all day is talking pottery with visitors. The other is eating and drinking. Eric Olsen and I had a couple of bruschetta-like lunches. 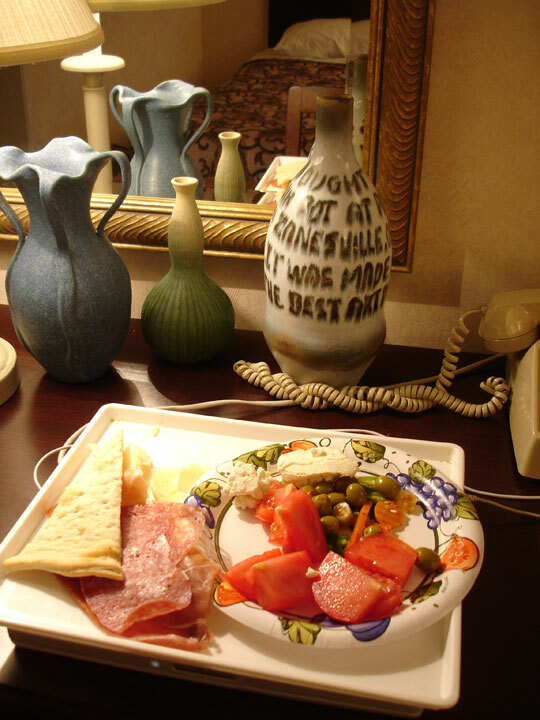 This is what my offering looked like a day into the show. 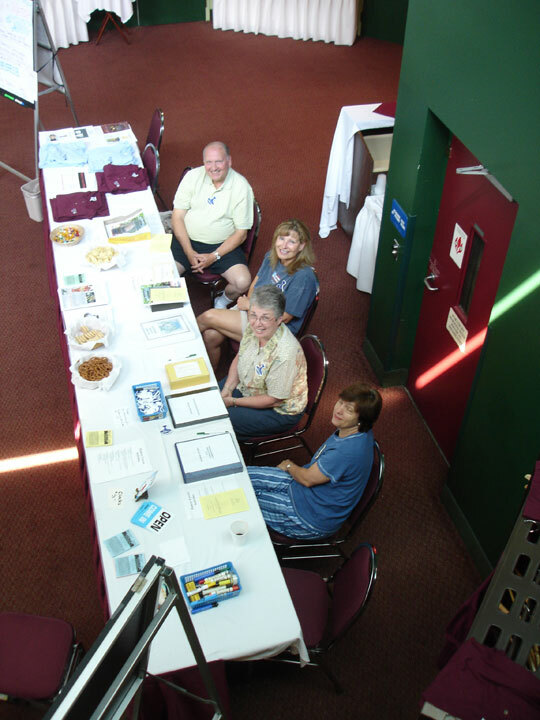 If you come to PL, this is one of the welcoming table crews that will give you all the facts about the show and hopefully register you as a member of PL. It is only $5 bucks a year for membership and four newsletters. Can't beat that. Here is what $100,000 of Della Robia looks like. Another lunch? I decided to keep those three pots after putting them out. Then someone wrote me online and wanted the blue one. Well, as much as I liked the pot, I did offer it to the buyer previously AND I need the $$$. 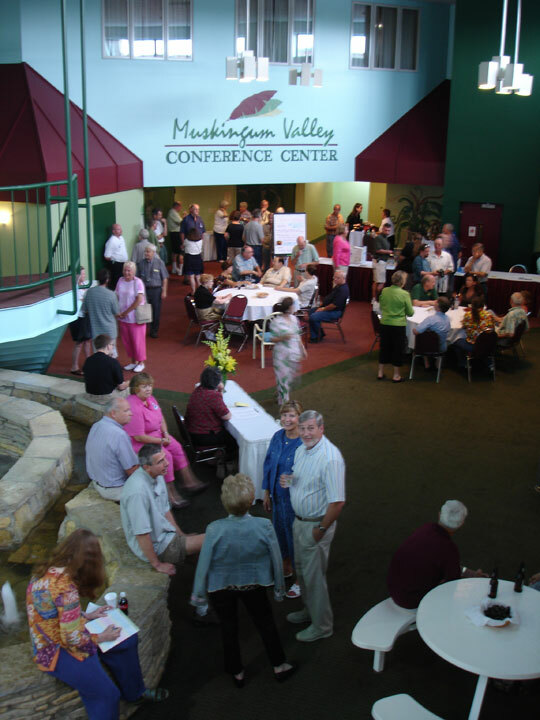 Here is the pot loving crowd gathering for the opening "get together" where they have "show and tell" and free food! Show and tell is where anyone can bring their favorite pot and put it out for all to see. 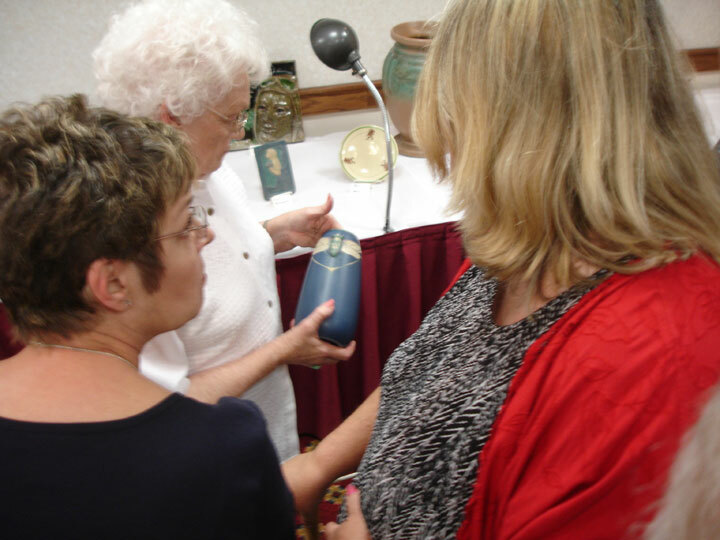 If you want a closer view of one of the show and tell pots, one of the docents will help you. 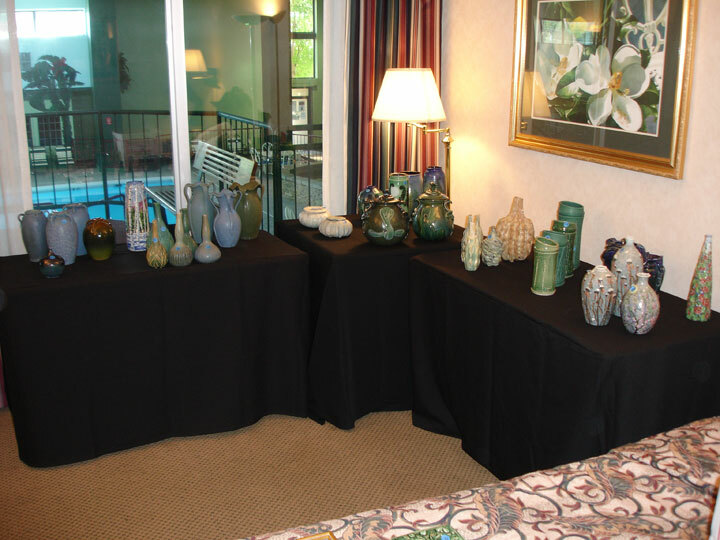 This is a photo of some of the new art potters at the show. Me, Maggie Jones, Freeman Jones, Eric Olsen, and Penni Lowery. 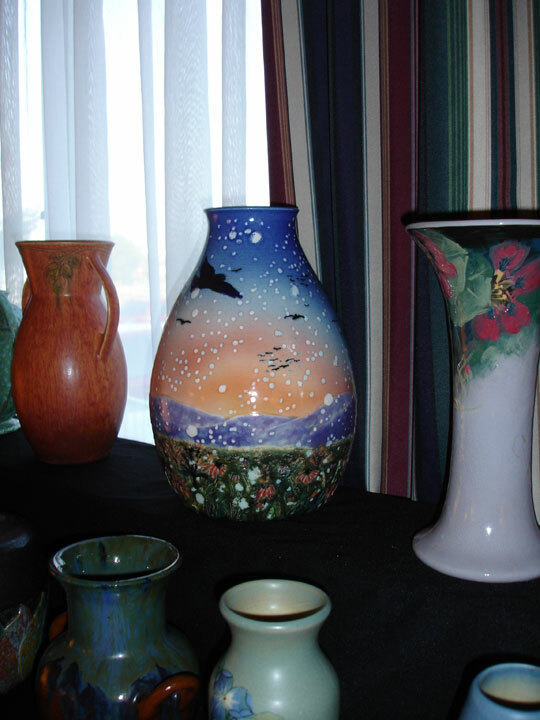 A couple of other potters were either not available or had already left the show. 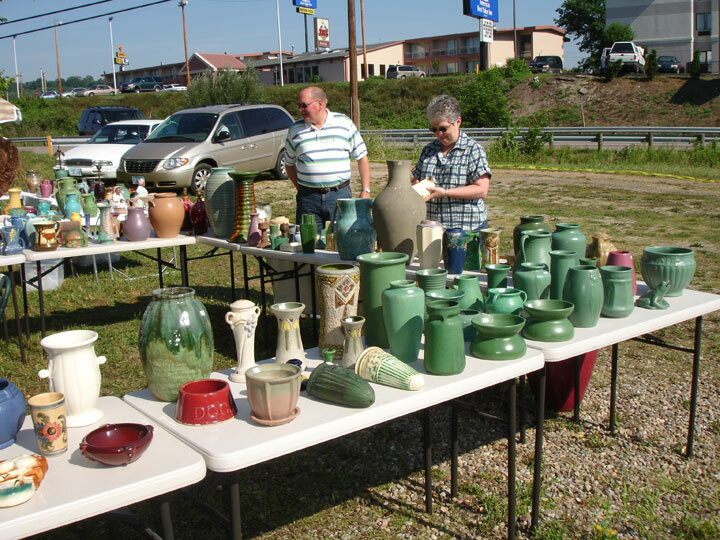 We are missing Scott Draves, Chris Powell, Paul Katrich, Marvin Bailey and John and Scottie from Hog Hill Pottery. We do have fun. Driving home through Indiana. 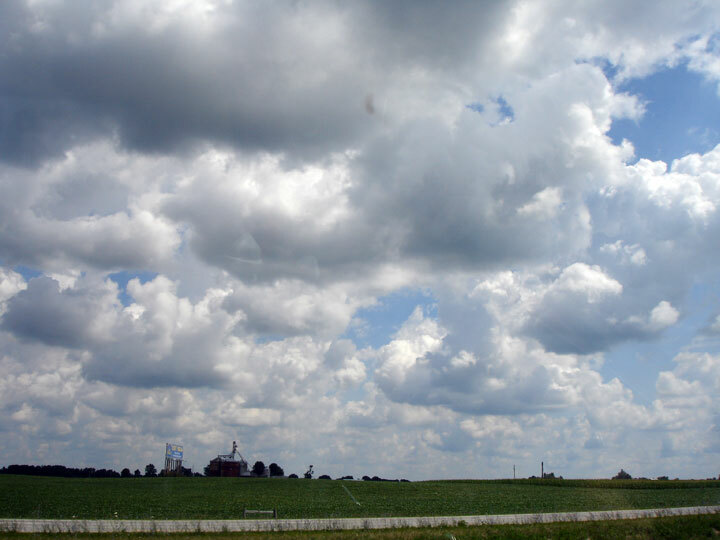 I love the farms and big skies of the Midwest. Get out the canvas and paints. Forget the pots for a bit.